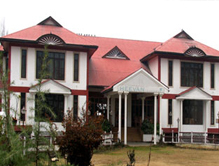 Nestled near the Majestic Zabarwan Lake and beautiful Nishat Mughal Gardens, the Heevan Resort in Srinagar Tiger offers an excellent vacation experience to the tourists. The splendid surrounding and enchanting beauty of the lake provides a great peace to the mind. The resort is certainly one of the best places to stay for all those visitors who are looking for the undisturbed privacy and shrug off their stress. The warm hospitality combined with the top-notch amenities makes the resort the right place to enjoy holidays and unwind. Accommodation The resort provides the finest accommodation facilities to the guest that really astonishes them. It has 40 well furnished rooms and suites that have all the desired modern facilities such as the attached bathroom, running hot and cold water, internet access, DVD player, room heater, tea/coffee maker, conditioner and temperature control. The interiors of the rooms are adorned with the attractive designs that captivate the attention of the guests. There is also a 24-hour power back facility through the silent generator that guarantees your vacations do not get ruined by the lack of electricity. Dinning	 The guests during their stay in Srinagar get a great opportunity to tickle their taste buds in the Dilkusha restaurant with the exotic cuisines like the Indian, Continental, Gujarati, Kashmiri and Chinese. 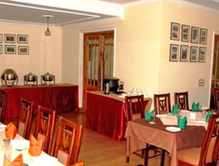 The restaurant can accommodate approximately 60 persons at a time.